Her low weight does not look good on her. Everything that is wrong is exaggerated because she has so little body fat. Hands and head look big. Shoulders look broad (inverted triangle body shape is masculine). Underbite and Adam's apple are noticeable. Some women are naturally thin and/or look good thin. Victoria's Secret and other models come to mind. But they have a "banana" body shape. Someone with an inverted triangle body shape really needs to be in the "normal" BMI range. It is not just her thinness, it is everything about her. The Adams Apple, the stride is longer than bill medd, the masculine features, the fact that she is quite hairy. Some things can be excused by being thin, but not all of them. That stride, she beats bill medd every time, the flapping man hands. I will never believe she is a true female in every sense of the word, never. I remember at the RAF grad how PW was going so fast and Kate had to almost run to keep up. A lot of women are hairy. If I can find the photo I will, but there is one of her in India/Bhutan and her stride is longer than bill medd, and that is a fact. Rear feet are in line and her front foot is lightly ahead of bill medd. She needs to slow down. She's definitely doing it on purpose; it's not like her legs are longer than his. ^ Yes, she steps like a man or a solider. I don´t think she is striding like that on purpose, most of us don´t realise what our stride is like, I saw it on tv, and she was just doing her own thing. To force a stride like that would not come easy. She does it all the time, not just in Bhutan. Yep, there is definitely something not right about her. ^I am convinced of it. She was transgendered long before Caitlyn. ^Sure looks like it, in every way. ^^ If I didn't see photos of her as a child, I might agree. ^ Something definitely could happened in her childhood. Look at that HUGE Adam's apple! She really does look it, to me. I think the Vogue cover pic was the most masculine photo I've seen of her to date though. 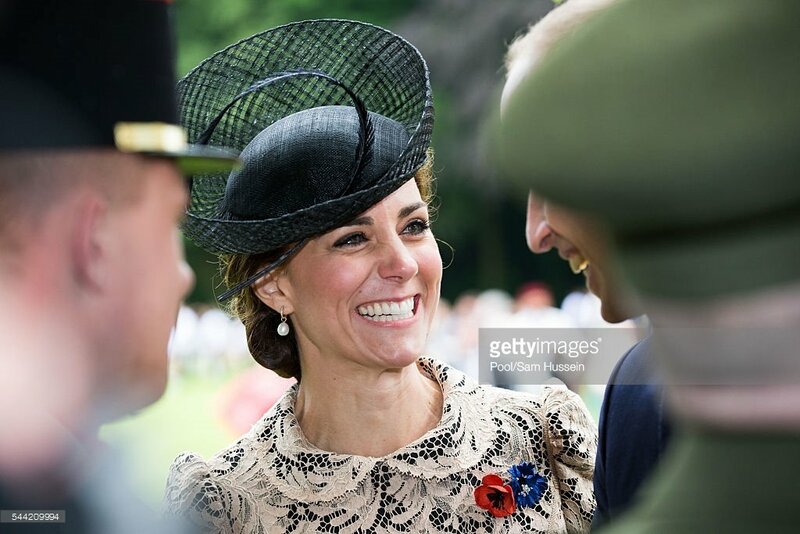 Even in the pics from today, there is one on the DM where Kate is reaching out towards something (can't find the link right now) and she looks like a very thin man in drag. Yup, I still say she is Androgenous Syndrome. What a mess she looks, and I do wish they would stop dying sprog I´s hair blonde, getting silly now when everyone can see it has been dyed. Poor Little Brute, being subjected to that.